Talking with a few up and coming global automakers in Pakistan, they told me that all their decisions and plans for Pakistan solely rely on what the Auto Industry Development Program (AIDP), that is our policy which governs the auto-industry. But it seems that the AIDP isn’t no where in the priority list of Minister of Finance, Ishaq Dar as he moved ahead and increased the duty through publishing of an SRO. Before today, such changes in duties were announced at the end of fiscal year, but now its done through an SRO announced on 1st of December. 3000 CC and above: Rs 800,000-12000,000. 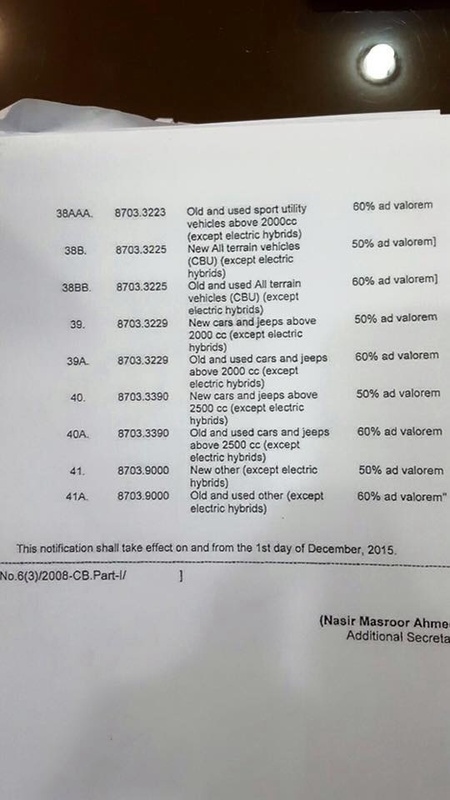 In this over-priced market, one thing is to mention that even used car importers/dealers are in it for profit as well and this increase means even most of the cars imported before 1st December 2015 will be sold after adding this duty increase probably so if you feel like, do ask for the clearing documents so you can be sure what duties did the dealer had to pay. 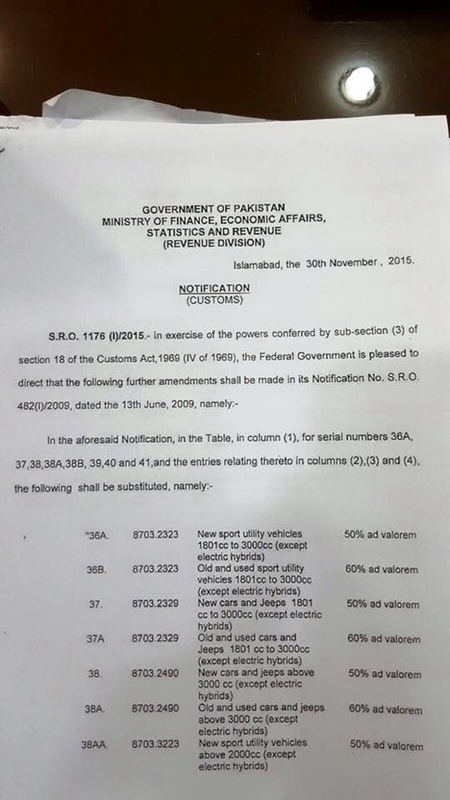 But sources within the automotive industry are quoted as saying that the local assemblers will also be increasing their prices owing to the duty increase, and the depreciation of Pak rupees that has perhaps prompted a statement by the Minister of Finance himself, ‘No tax will be imposed on locally manufactured items which have been produced from the imported goods’, and that the tax is imposed on imported items only. While a lot of automotive companies are waiting it out for the automobile policy, now expected early in January next year or by December end this year, BR also says that they have seen the auto policy and Ministry of Industries termed it ‘discriminator against the local assemblers’, in addition to the fact that Japanese ambassador to Pakistan has said that Japan will not accept any discrimination against its auto companies. Still, priority should be a steady policy in stead of these custom duty raises without any policy which is rather just to accumulate the next installment of the IMF loan. Nevertheless, government in stead of enabling its nationals to invent and create while giving room to global companies to do business here; won’t happen, and as always, we’ll look for outside help to solve our problems. They have put the mouth where the money is. The auto industry is pending since 2012 and there is intentionally no approval from government on it. Every time the ECC meets to approve the policy it is postponed like it is some long running tv drama series. 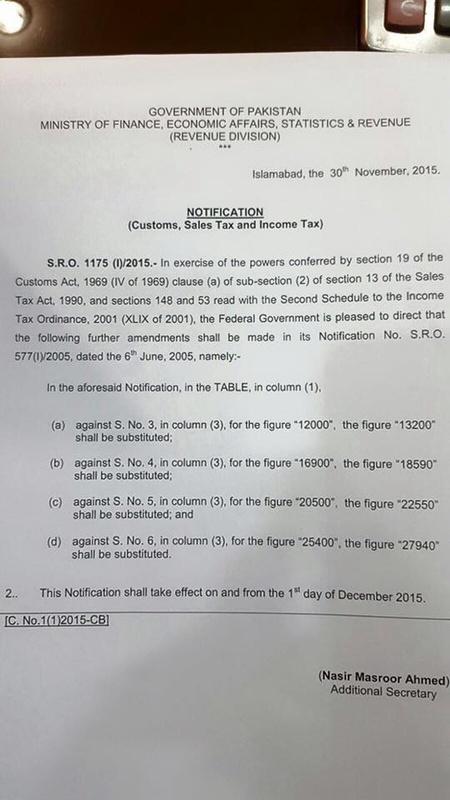 It look the PML-N team merely two weeks to implement new duty policy to increase taxes on hundreds of items while on the other hand the auto policy decision has been pending since 2012. Violation of consumer rights by local auto industry and the government. 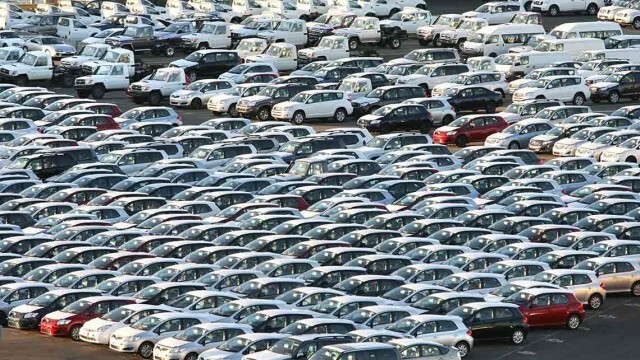 Hi Baber, Are we certain about seeing competition in auto market? VW was coming but this silver lining also seems to be fading away. Who is next? Or we will end up wandering around the same monopoly of BIG 3. It seems increasingly difficult as auto policy is being further delayed (intentionally since 2012!) and government is inclining more towards the existing assemblers and Japanese Embassy rather than consumers. The Japanese Ambassador has gone all the way up to PM level to get the new entrants incentives cancelled. Honestly speaking, I do no see any new entrant anytime soon – not under this government’s administration at least. Wasn’t deleted. It went in for approval. It should be here now. No one is coming honestly. Big automakers such as VW look for consistency in government’s policies and its implementation but new will come, that is for sure. Datsun will be the first but even they’re 1-2 years away from introduction. Comments with attachment (photo) or link will be suspended for approval. As you can see below, your comment had a link, so it was not written immediately. It is sort of security provided, because sometimes the comments with links would take you to phishing website or just some commercial spam. You could read Discus policy over it. Even when commentator submits a comment with link or photo, it tells you that it is submitted for approval. Approval is sometimes very late, though. A good time duration is 6 hours. If it is being approved after 40 or so hours then it is very late. Sounds strange, but cant we writ a petition in Supreme Court against policy delay? As I said it sounds strange but someone would have to take a step ahead to make a leap. PW, having a vast influence in Pakistan market could become voice of many people like me. And yourself Baber, you too have got some incredible guts. Why do these THUGS keeps anouncing mini budgets now and then??? They dont need to increase on local made cause they already have that channel open. They feed them good enough to keep coming with ridiculous prices and to limit new entrants. So they thought of a new way to generate more and again provide local ones to keep up with their bloodsucking prices. Imagine getting an basif GLi for 16 lacs or more. Fully petrol 1.8. When you can get a hybrid. Basically awam ki har jaga se lo. so when are we expecting new entrants, i guess we all get tired of seeing those 3 manufacturers.. getting the auto industry’s standard lowering day by day.. Yes their turn is never going to come till the people like you exist who use their heads on the matters you dont understand! Did you stand up or raise your voice when ever the dharnas happened? They were too for a cause against the very same corrupt regime?